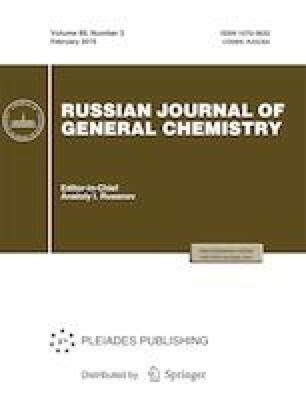 The physico-chemical basis of optimal conditions for synthesis of BaBiO3 oxide, free from impurities of BaBiO3 and BaBiO3−x oxygen-deficient phases, is given. The reduction of time of the melt contact with a crucible makes it possible to obtain BaBiO3 samples minimum polluted by a crucible material. It was found that an abnormal behavior of BaBiO3 in the course of long-time annealing in air at 450°C is caused by the interaction with CO2. Russian Text © N.V. Barkovskii, 2019, published in Zhurnal Obshchei Khimii, 2019, Vol. 89, No. 2, pp. 167–180.